Out-of-stocks are a major problem for any retail business. When a customer comes in looking for a product and it is not in stock, the sale is already lost and, in the process, the customer might convert to another brand or store. But how to shorten the time between an out-of-stock and replenishment or, better yet, how to prevent out-of-stocks to happen in the first place? Retail store audit software has become an ally to manufacturers, distributors, and retail in addressing out-of-stocks. 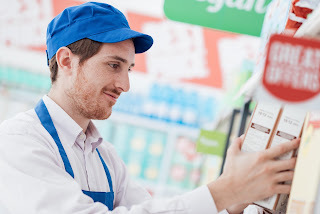 With a retail store audit software, field reps and store employees use a mobile app to record out-of-stocks (or any other mission-critical situation, for that matter) and then the information is readily available in the Cloud for all the appropriate stakeholders to take immediate action. This means that, with a retail store audit software in place, the time between the detection of an out-of-stock to the order for product replenishment can be virtually shortened to mere seconds. Not only is retail store audit software instrumental in reacting to out-of-stocks, but it can also help prevent them as well: Since the audit data is stored in the Cloud, it becomes straightforward for brand managers, demand planners, and purchasing to generate historic reports to better plan product shipments and avoid out-of-stocks altogether. VisitBasis is a complete retail store audit software solution that offers all the elements needed to perform mobile POS audits and surveys in one package, from data collection to reporting. The VisitBasis retail store audit app is available at Google Play and App Store and can be downloaded for free for an unlimited number of users. Want to learn more? Schedule an online demo or sign up today for a free trial!